Coca-Cola on Friday introduced a special campaign for the Premier League, to engage and excite football fans in the Maldives. Under the exciting new campaign, seven couples will get a chance to win an all-expenses paid trip to England and watch a Premier League match LIVE! Additionally, daily lucky draw winners will stand a chance to win a television set to rejoice their experience of watching Premier League matches at home. Customers can take part in the promotion by purchasing the 300 ml, 500 ml and 1.25 liter PET bottles of Coca-Cola with a gold cap. Each bottle has a unique code under the cap, which the consumer has to SMS to 2626. If the code is chosen in the lucky draw, consumer needs to present the cap and claim the prize. "We are excited to bring this promotion to Maldives which has an innate passion for the sport of football. Coca-Cola has a longstanding connection with football and we want to further delight our consumers by rejoicing their experience with our association with one of the biggest football leagues in the world," Amarnath Dutta, Region Marketing Manager, Coca-Cola South West Asia said after the launching. The promotion would be valid for 45 days with effect from 15th January 2019 – 28th February 2019. 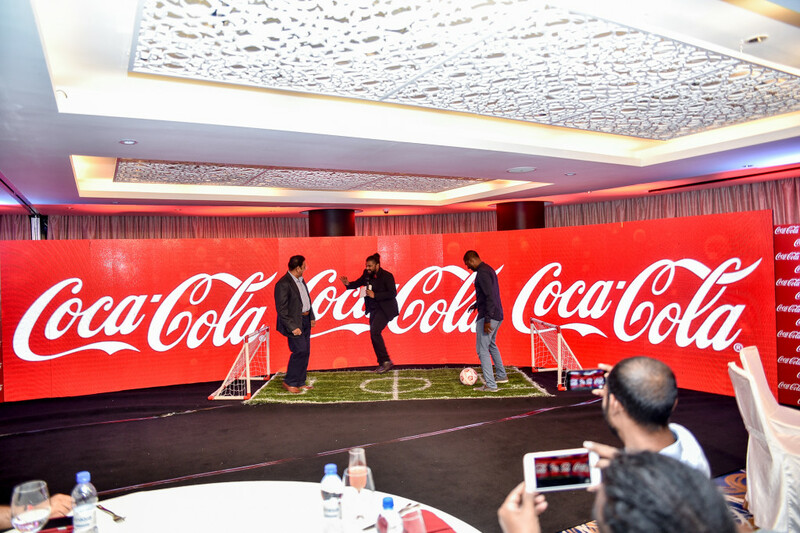 Coca-Cola has a strong association with football in Maldives with multiple on air and on ground campaigns over last few years starting from FIFA 2014 World Cup in Brazil, Euro 2016 activations, FIFA 2018 world cup promotions etc. In 2018, Maldives was the second stop (after Sri Lanka) on the Coca-Cola FIFA Global Trophy Tour. Coca-Cola and Premier League partnership! Recently, Premier League and Coca-Cola Great Britain have announced a new three-and-a-half-year partnership, starting in January this year. In Maldives, the partnership will see Coca-Cola work with the world’s most competitive and compelling football competition to engage and excite fans up and down the country, giving them an opportunity to get even closer to the Premier League and connect with the game they love. The company will look to enhance the fan experience through physical and digital activations. Coca-Cola is one of the world’s most famous and best-loved brands and has been refreshing the world for 132 years. 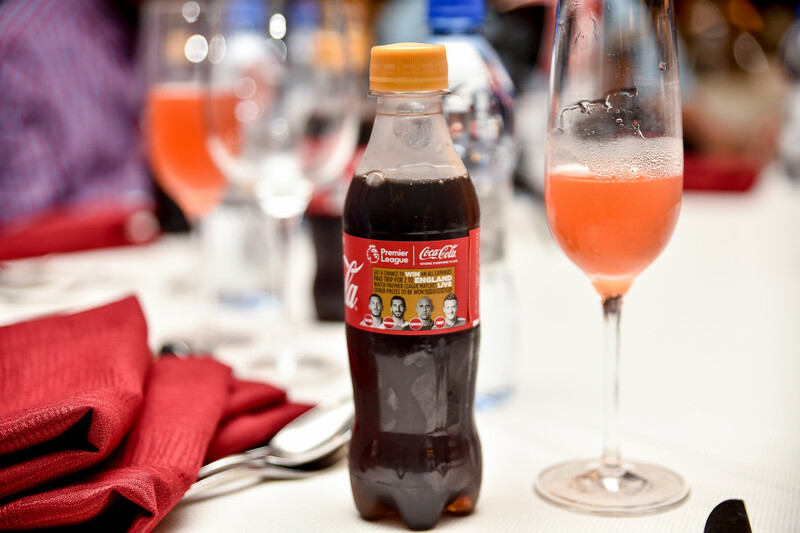 The Coca-Cola Company through its bottling partner has brought a range of hydrating and delicious beverages to Maldives. The Coca-Cola brand has also sought to brighten consumers’ lives through a variety of engaging projects and activities. As Coca-Cola strives to fulfil its sustainable business and growth objectives by focusing on profit, people, its portfolio, partners, the planet and overall productivity, encouraging consumers to enjoy and increase their consumption is crucial.